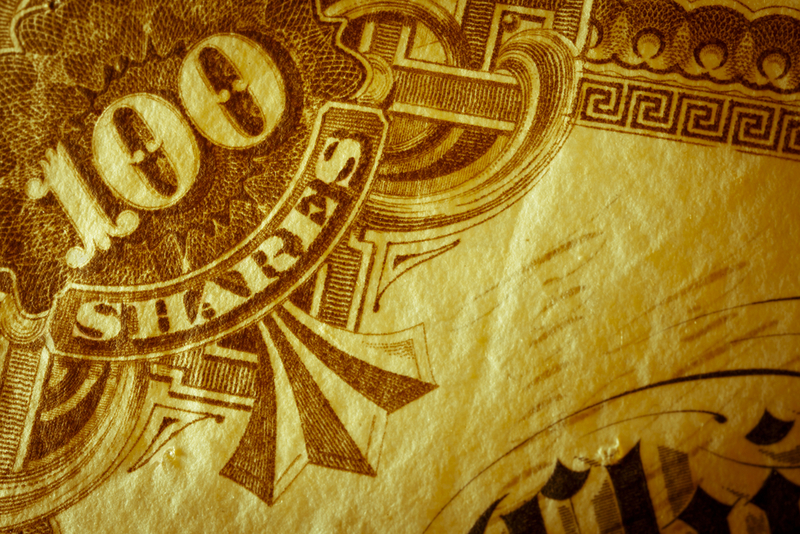 There's a staple of modern-day investing that surprises even savvy investors: If you own stocks, but you don't have any paper stock certificates, then chances are that those stocks aren’t being held under your name. Rather, most stocks these days are held in the “street name” of the broker, rather than under the name of any particular investor. In that situation, when an investor opens an investment account, the stocks he or she buys are registered in the issuer's books as belonging to the brokerage firm. The brokerage firm, in its records, however, lists the investor as the actual owner. The broker holds the stock in a “book-entry” form, according to the Securities and Exchange Commission. This replaces the need for a physical certificate by allowing the broker to keep an electronic record of the purchase in its books, which allows for faster trading. Investors, meanwhile, retain all the rights and benefits of being a shareholder without the burden of keeping a physical stock certificate safe from loss or theft. An alternative to "street name" registration is "direct" registration, which is also based on electronic bookkeeping. In direct registration, a stock is registered in an investor's name but the company that issued the stock (or its transfer agent) is the one that holds the security in book-entry form, instead of a broker. Both street name registration and direct registration are preferable, experts say, to hanging on to paper stock certificates. “Holding on to and trading a physical stock certificate is a cumbersome process,” said Dr. Ben Branch, professor of finance at the Isenberg School of Management at the University of Massachusetts-Amherst. Losing a physical certificate creates a costly headache for investors. To replace a lost certificate, an investor must buy an indemnity bond to protect the stock's issuer and transfer agent—companies that track ownership of stocks and bonds—from any claims related to the original lost certificate. These bonds may cost between 2 and 3 percent of the value of the lost stock, according to the SEC. That can amount to thousands of dollars or more, depending on the trading price of the stock and the number of shares a client owns. And if you lose the certificate during a volatile time in the market, you also risk the price of the stock moving away from you. The industry has been moving away from physical certificates for decades. Before the advent of technology and street names, Wall Street relied on messengers to transport physical stock certificates back and forth from the Financial District in Manhattan. By the late 1960s, the sheer volume of stock certificates and other paperwork overwhelmed brokerage firms’ back offices, hobbling the firms’ ability to complete trades in a timely fashion and ultimately forcing many out of business. The chaos, dubbed the Paperwork Crisis, also allowed thieves to prosper, with some $400 million in securities being stolen between 1969 and 1970. Such losses propelled the industry to turn to technology-driven solutions for easier and safer trading, including street names. The street name system is designed to withstand even a brokerage firm meltdown. When a firm faces liquidation, regulators, including the SEC and FINRA, work to ensure that customers’ securities are transferred to another firm. Keeping investments in street names can actually make the process easier because all of the documentation will be in one centralized account. Another advantage of keeping investments in street name is the ability of investors to use their stock as collateral to borrow against in a margin loan, said UMass-Amherst’s Branch. In the end though, it boils down to one thing: “It really does come down to convenience,” Branch said.